A non-governmental organization in Africa with headquarters in Nigeria, Connected Development (CODE) has applauded the World Bank for its $611m (221bn) support to the federal government of Nigeria through the Better Education Service Delivery for All (BESDA) initiative. The BESDA which is a World Bank initiative aims at increasing equitable access for out-of school children in Nigeria and improve literacy in focus states and strengthen accountability for results, in basic education in Nigeria. In a press release on Monday, September 25, 2018, CODE’s CEO Hamzat B. Lawal said “it is exciting to read that the World Bank is investing in strengthening Nigeria’s education sector to enable her meet, sustainable development goals on universal basic education for all — amongst other targets; especially in Northern Nigeria where most of the out-of-school children reside”. Mr. Lawal however, reiterated the need for institutional strengthening for transparency, “particularly in providing salient information on how these funds are expended, so that citizens can hold government accountable; as well as ensure sustainable investments by elected governments to meet Nigeria’s education needs, especially basic education”. This intervention by BESDA will help in no small means to reduce the growing number of out of school children in the country which according to UNESCO is the highest in the world. A fact reiterated by the Universal Basic Education Commission (UBEC) which puts the number of out of school children in the war torn North Eastern part of Nigeria at over 1 million due to the activities of the dreaded Boko-Haram sect which has increased the total number of out of school children in the country to about 8.7 million. This fund will help in no small way to reduce this figure and reposition education in the country. With the existence of CODE’s Follow The Money platform, the judicious utilization of this fund is guaranteed. 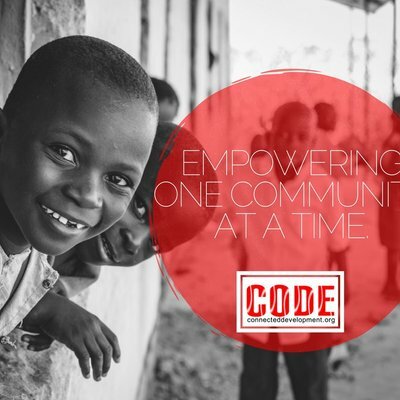 Through its “Follow the Money” model, CODE provides marginalized and vulnerable communities with resources to amplify their voices with independence and integrity; as well as information that ushers social and economic development through online and offline platforms that close the feedback loop between citizens and the government to enhance social contracting and accountability. CODE through Follow The Money has tracked the implementation of N569.5m ($1.5m) Universal Basic Education [UBE] funding across 23 projects in 20 communities with the support of the State Government in Kaduna, and have since commenced the tracking of N12bn UBE (2013 – 2016) funding for 597 projects across 18 Local Government Areas in Ondo State.